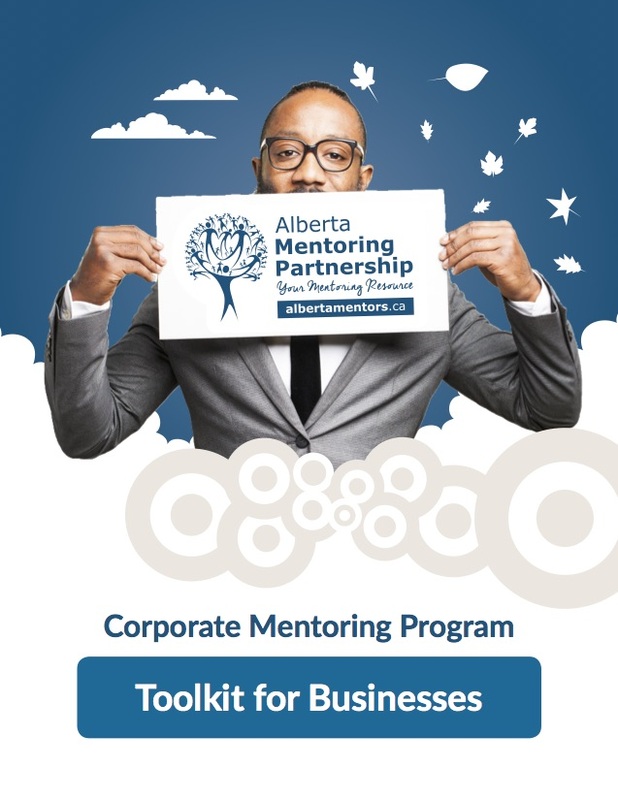 Working with business, non-profit, and government partners across Alberta, the Alberta Mentoring Partnership developed the following toolkits to help mentoring organizations recruit new volunteer mentors through corporate mentoring partnerships. 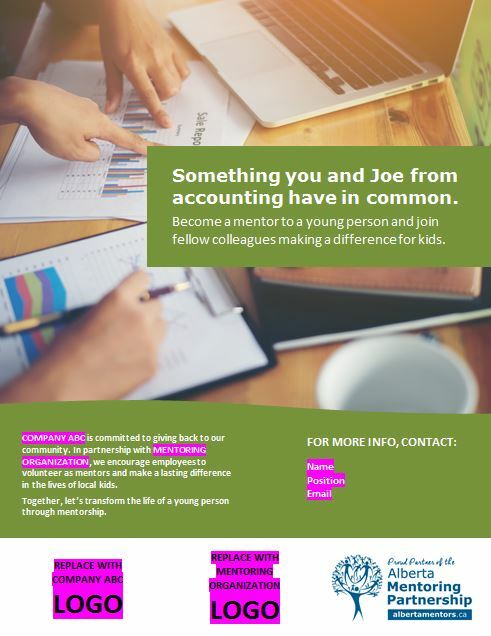 that results in the creation of a Corporate Mentoring Program between employees and kids. 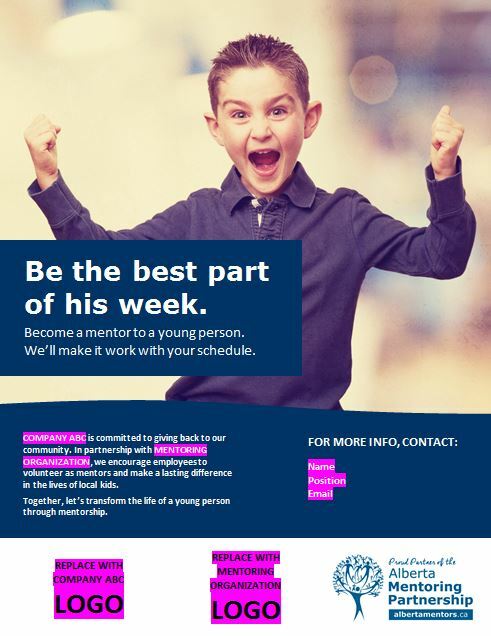 The program offers mentoring organizations the opportunity to recruit employees as volunteer mentors, and gives businesses a means to engage employees and build the corporate brand while giving back to the community. 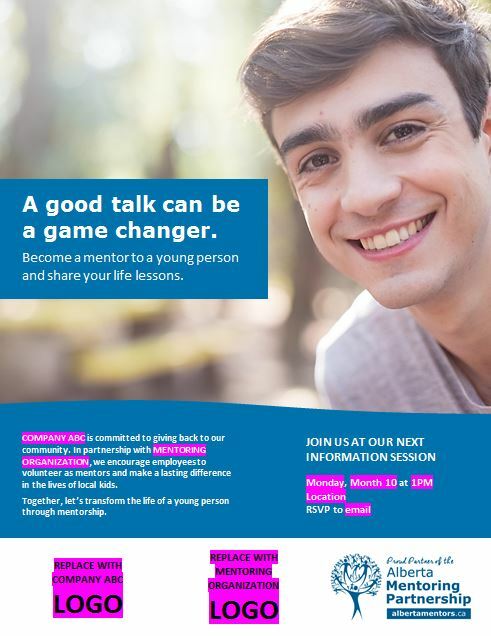 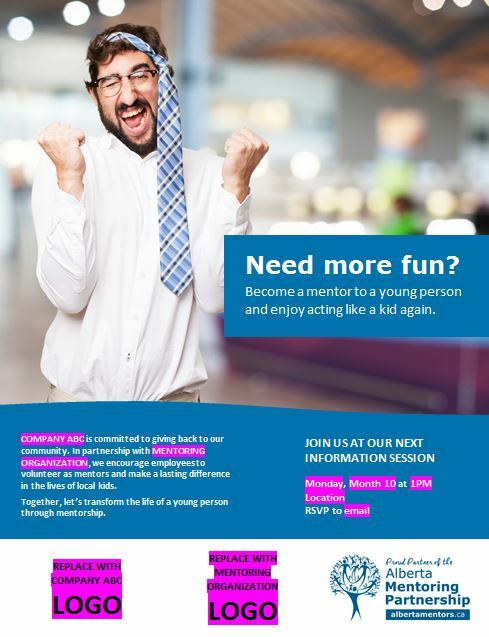 Hosting an information session? 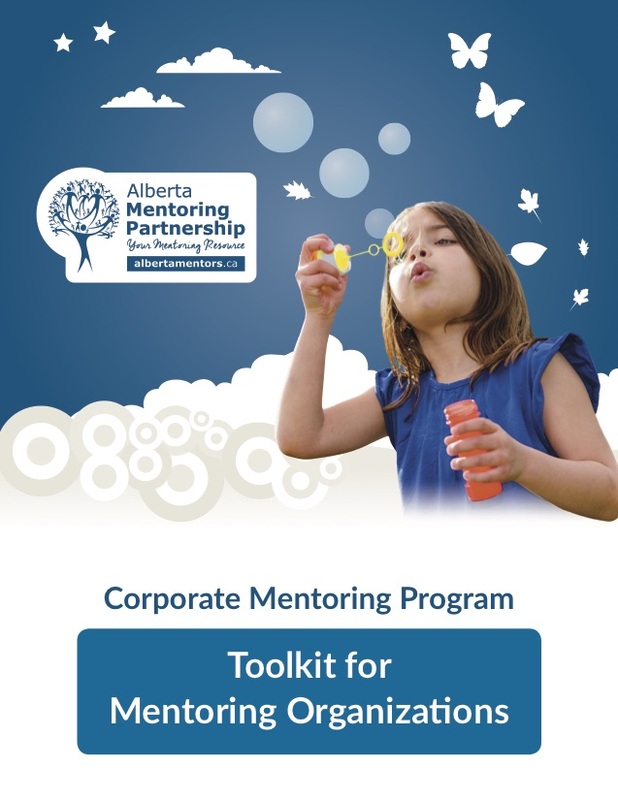 Download and edit this powerpoint (.ppt) and use this PowerPoint to inform employees about your Corporate Mentoring Program. 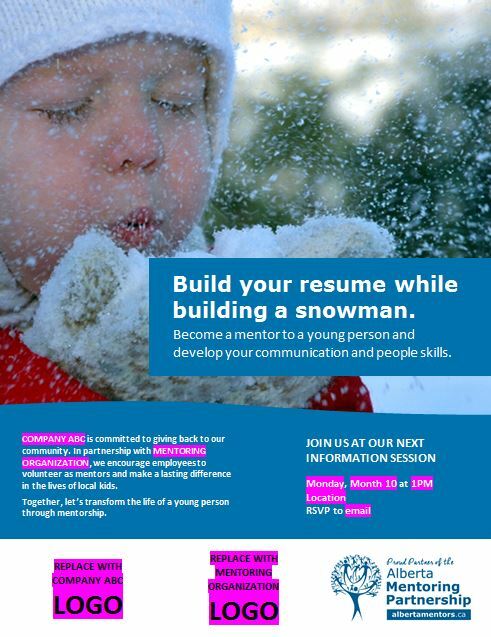 sessions, and recruit employees as volunteer mentors. 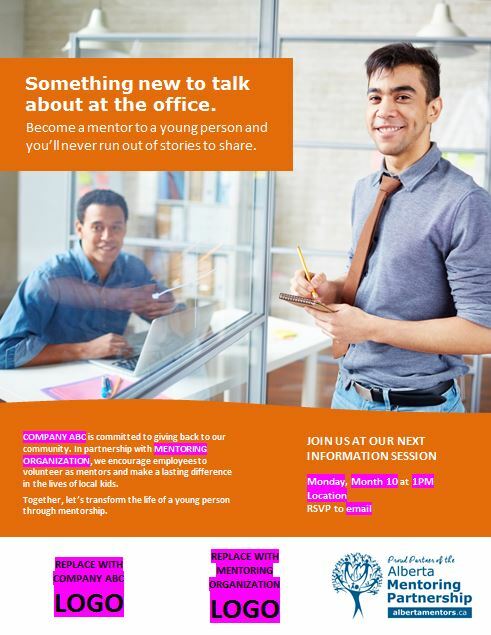 Inform employees about mentoring basics. 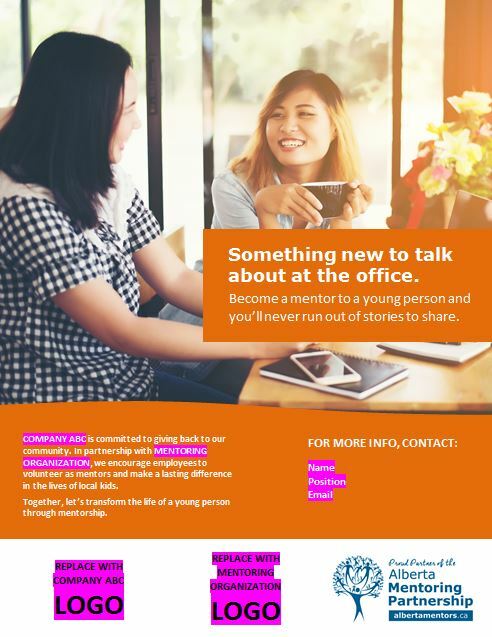 Address top reasons employees might not want to mentor. 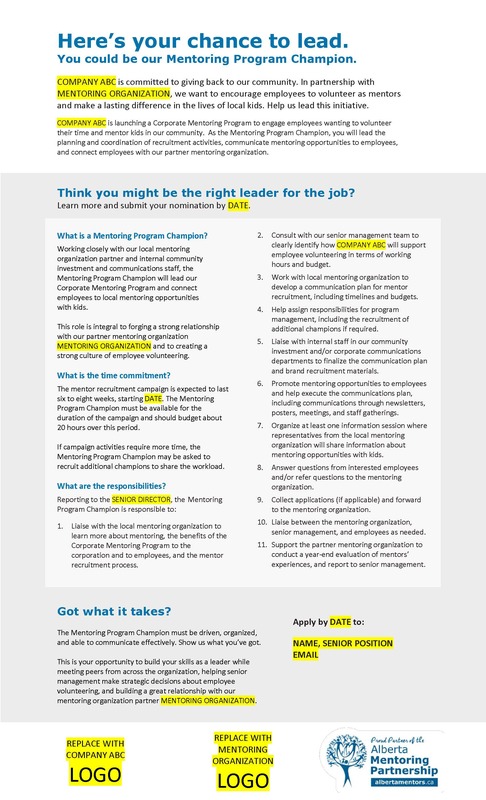 This editable brochure can be provided to employees interested in becoming Mentoring Program Champions.